2016/17 UEFA Europa League. Group stage. 1st round. September 15, 2016. Konya. Konya Buyuksehir Arena. Att: 26,860. 16 oC. Compared to the encounter with Dynamo Kyiv, Shakhtar head coach Paulo Fonseca had to make a forced substitution: instead of the injured Darijo Srna, Bohdan Butko appeared on the pitch of Konya Buyuksehir stadium. The captain's armband went to Oleksandr Kucher. By the way, the game against Konyaspor took place on a remarkable day for the Donetsk club: exactly 40 years ago, the Pitmen debuted in European competitions. Football players of Shakhtar immediately took the ball under control. The visitors launched positional attacks in an attempt to undermine the opponents’ defence. Particularly active was the right flank, where Bohdan Butko operated. Nevertheless, the first threat came at the goal of Andriy Pyatov. In the 10th minute, Camdali was aiming at the far corner only to see the ball hit a goalpost. The charges of Paulo Fonseca continued to enjoy the territorial advantage, forcing the Turks to foul. So, by the 15th minute, Konyaspor got two bookings. The Orange-and-Blacks’ main weapon midway through the first half were long balls. Ismaily and Yaroslav Rakitskyy fired them twice each, but the Brazilian was a bit inaccurate in his attempt, while the shot by Shakhtar’s number 44 was barely parried away by the goalkeeper. On 33 minutes into the game, the referee could easily award a spot kick against Konyaspor, but Robert Schorgenhofer registered a foul on Ismaily virtually on the edge of the penalty area. Bernard performed a set piece – just wide. Shortly afterwards, the Pitmen fulfilled a dangerous counterattack. It was finished off by Taras Stepanenko, but the goalkeeper came to Konyaspor’s rescue again. 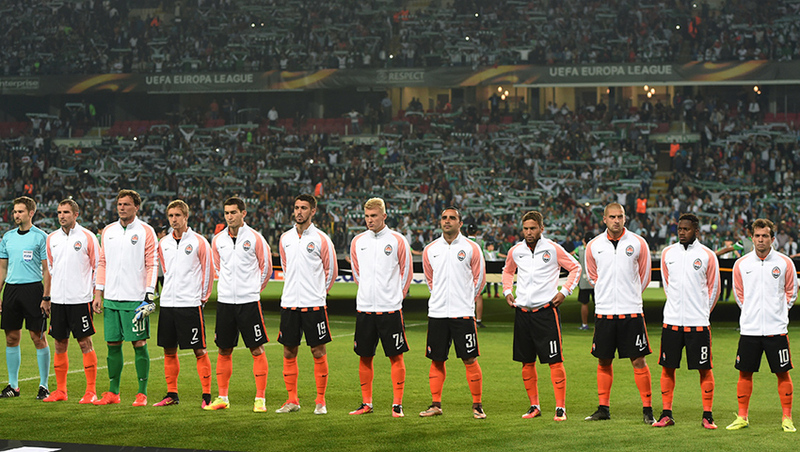 The ending of the first half saw Shakhtar attacking – 0-0. After the break, the Pitmen continued to control the course of the game. The percentage of ball possession by the Orange-and-Blacks reached 70%. Meanwhile, the opponents just parked the bus down their box. On 51 minutes, Viktor Kovalenko attempted a pretty good shot into the near corner to earn a corner kick. Marlos had a similar chance to excel with the same result. But Facundo Ferreyra was the closest to netting one. On the first occasion, the Argentine was getting on end of Bohdan Butko’s pass, while on the second one he was trying to head it home. In both episodes, the goalkeeper displayed great reflexes. On 67 minutes, Paulo Fonseca fielded Taison, replacing Bernard. On 76 minutes, Butko sent a great pass at the far post, and this time Ferreyra beat Konyaspor goalkeeper, sending a precision header home. Bohdan has made an assist in the second match in a row. In the remaining time before the final whistle, the Turks somewhat revived, making all-out attacking moves, but Shakhtar’s defence played securely. As a result, the game ended with the Pitmen’s narrow win. The Donetsk team will play their next game on 18 September. 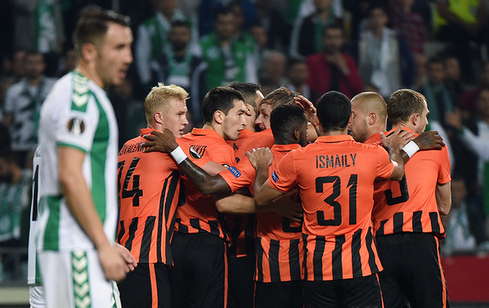 In the Premier League Round 8, Shakhtar will play Poltava-based Vorskla away. The meeting kicks off at 19:30.